first issue, Spring 1997, to the last print issue, Summer 2003. A few may be available to order. of our newsletter at the bottom of this page. Vol. 1, No. 1 - Spring 1997 Research … Planning Time … First Things First … Did we say “driving”? … More About Driving … Let’s Get Started (allons-y!) … About Travel Agents … Expenses … Featuring Normandy … Manoir Brion … Recommended Reading … Liste de l’Adresse … & more! Vol. 1, No. 2 - Summer 1997 Planning Part Deux … Don’t Forget to Pack … Security Measures … Driving in Circles … Renting Your Car … Staying in Châteaux … Web Sites … Paris: Postal Code 75007 … Rave Reviews … Featuring Brittany … Manoir de Kergueréon … Recommended Reading … Liste de l’Adresse … & more! Vol. 1, No. 3 – Autumn 1997 Renting Your Own Home … Guests in France … Living on French Time … Money Matters … More Web Sites … Something about trains … Featuring Pays de la Loire – Part One … Recommended Reading … Liste de l’Adresse … & more! Vol. 1, No. 4 – Winter '97-'98 Women Traveling in France … Phone Cards … Pacing Yourself in France … Keeping a Journal … Ici et Là … Featuring Pays de la Loire – Part Deux … Château de la Jaillière … Recommended Reading … Liste de l’Adresse … & more! Vol. 2, No. 1 – Spring 1998 Web Security … Pharmacies in France … Emergency Numbers … Ici et Là … Featuring Poitou-Charentes … Château de Prémarie … Château de Tennessus …Recommended Reading … Liste de l’Adresse … & more! Vol. 2, No. 2 – Summer 1998 French Wine 101 … Wine Labels & Bottles … Mustard – A Burgundy Invention … Writing Reservation Letters … Ici et Là … Featuring Burgundy … Recommended Reading … Liste de l’Adresse … & more! Vol. 2, No. 3 – Autumn 1998 Taking the Train in France … The Train to Provence … Ici et Là … Featuring Provence … Château de Vergières … Recommended Reading … Liste de l’Adresse … & more! Vol. 3, No. 1 – Spring 1999 Travel Assistance … Ici et Là … Plan un voyage à France (Part Two) … Special Offers … Château Recap … To Our Subscribers … Featuring le Médoc … Château de Foulon … Bargain Books! … Recommended Reading … Liste de l’Adresse … & more! Vol. 3, No. 2 – Summer 1999 Credit Card Surcharges … Trivia Quiz … La Grève Can Be Grave! … Ici et Là … The Secret Formula of the Frugal Gourmet in Paris … Plan un Voyage à France (Part Three)… Featuring Languedoc-Roussillon (Part One) … Château de Grézan … Recommended Reading … Liste de l’Adresse … & more! Vol. 3, No. 3 – Autumn 1999 Ringing in the New Year … Reader Survey … Château Update … Ici et Là … Photographing Landscapes … Downtown France (New!) …Featuring Languedoc-Roussillon (Part Two)… Château de Lascours … Recommended Reading … Liste de l’Adresse … & more! Vol.3, No. 4 – Winter '99-2000 Reader Survey Results … Ici et Là … Provence Harvest … Downtown France … Featuring Le Centre (Part One) … Château de la Tour … Château de Montbrun … Recommended Reading … Liste de l’Adresse … & more! Vol.4, No. 3 – Autumn 2000 Enter our Contest! … Ici et Là … Our Readers Write … At Home in France … Featuring the Côte d’Azur … Provence from a Great Height … Recommended Reading … Liste de l ‘Adresse … & more! Vol.4, No 4 - Winter 2000-2001 Our Contest Winner! 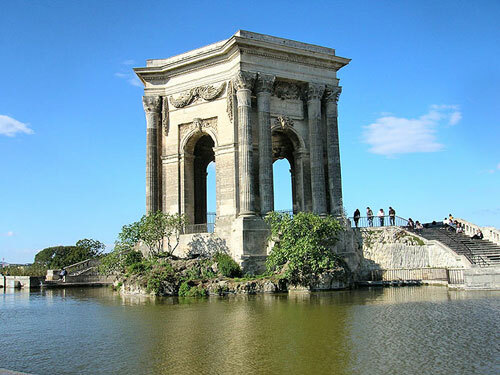 … Ici et Là … Les Thermes Sextius … Our Readers Write … My Secret Paris … Featuring the Périgord – Part I … Château de Chauvac … Recommended Reading … Liste de l ‘Adresse … & more! Vol.5, No 1 – Spring 2001 Paris Enigmas … Ici et Là … Biking for Your Dinner … Our Readers Write … Art Squats in Paris I … Featuring the Périgord Noir … La Garde-Freinet – A Village in Provence …Travel Tips … Recommended Reading … Liste de l ‘Adresse …& more! Vol. 5, No 2 - Summer 2001 Paris Enigmas … Ici et Là …Our Readers Write …. Art Squats in Paris II … France Through the Camera’s Eye … Travel Book Reviews … Featuring Lorraine & Alsace … Château d’Adoménil … Liste de l ‘Adresse … Recommended Reading … & more! Vol. 5, No 3 - Autumn 2001 Paris Enigmas … Ici et Là …Get Ready for the Euro! …. Backroads of Brittany … Of Monks, Marauders and Teddy Bears … Featuring Brittany Revisited … Château de la Foltière … Liste de l ‘Adresse … Recommended Reading … & more! Vol. 5, No 4 - Winter 2001 Paris Enigmas … Ici et Là …Bonne Route ! Part One …. Planning Tips … Bourges – An Affair of Heart(s) … Our Readers Write … Featuring the Lot … Kafka is alive and Well … Dates & Places in the Lot … Liste de l ‘Adresse … & more! Vol. 6, No. 1 - Spring 2002 Paris Enigmas … Ici et Là … Liberation of Paris 1944 … Bonne Route (Part Deux) … Our Readers Write … Featuring the Côte d’Or … Most Beautiful Villages of the Côte d’Or … Recommended Reading … Contact Information … & more! Vol. 6, No. 2 - Summer 2002 Paris Enigmas … Ici et Là … Psychology of Fois Gras … Public Transportation: Train, Taxi Bus & Métro … Île St-Louis … Featuring Auvergne : Puy de Dôme & Allier … Château de Vollore … Most Beautiful Villages of the Côte d’Or … Recommended Reading … Contact Information … & more! Vol. 6, No. 3 - Autumn 2002 Paris Enigmas … Ici et Là … Shopping Like the French … Entrevaux : At Home in France … Featuring Five Cities in France … French Wine Report … Paris Muse: Private Art Seminars in Paris … Contact Information & Chocolat Contest Details … & more! Vol. 6, No. 4 - Winter 2002-2003 Paris Enigmas … Ici et Là … Trouville … Entrevaux : La Politesse … Romanesque to Renaissance … Romantic Paris … Featuring Haute-Garonne, Hautes-Pyrénées & Ariège … French Wine Report … Recommended Reading & Contact Information … & more! Vol. 7, No. 1 - Spring 2003 Paris Enigmas ... Ici et Là ... Cannes - A Resort for All Seasons ... Limoges - Where Works of Art Emerge ... Porcelain Painting in Limoges at Château Rigoulene ...Featuring: Basse-Normandie ... Château B&Bs in Basse-Normandie ... Jazz in the Var - A Continuing Story … Recommended Reading, Contact Information & more! Vol. 7, No. 2 - Summer 2003 Paris Enigmas ... Ici et Là ... Entrevaux: the Pizzaman ... Myriam: from FrenchShip - a One-Year Adventure on the French Mediterranean ... Paris Street Names ... Featuring: the Corrèze ... Wines of Alsace: the Debate ... Summary Book List … Contact Information & more! Back issues, if available, are $5.50 each (Can./Mex. $7.00 – Others $9) Includes shipping cost. Make payments with PayPal. It's fast, asy and secure! To Pay by US Dollar Check Send us your name and mailing address (street, city, zip or postal code, country), along with your US dollar check, and the issue(s) you specify will be sent First Class Mail. Issues will be mailed once the check has cleared our bank. AND ZOOM IN UNTIL IT APPEARS LARGE ENOUGH TO READ EASILY. FRANCE On Your Own - Summer 2014 - Wallace Fountains: Water, not Wine in Paris? FRANCE On Your Own - Winter 2017 - By the sea, by the sea, by the beautiful sea . . .